The action will challenge the granting of the approval by Natural England against the recommendation of its own Scientific Advisor, Professor David Macdonald, Head of Natural England Scientific Committee. He stated according to Minutes that the view that killing more badgers would lead to better disease control was “not easily reconciled with the evidence” (see my post on the lack of response to Macdonald’s advice). From the material I have seen already, it is clear that appropriate procedures have not been taken in relation to this action, which will inevitably lead to the destruction of more wildlife if the Government remains unchallenged. In all the circumstances and for the grounds we have set out, we assert that the decisions made by DEFRA, the Secretary of State and Natural England, separately and or cumulatively were unreasonable and should be immediately revoked. Nature: give it a right or put a price on it? Is the planet our neighbour in law? Just a couple of pages from the 40 I have regarding this Subject. All recorded in Hansard over the years. Mr. Hardy : To ask the Minister of Agriculture, Fisheries and Food if he will arrange for the area of some farms where a breakdown or breakdowns involving bovine tuberculosis has occurred to be exempt from badger control to enable an assessment of the control programme to be made. Mr. Donald Thompson : An experimental area already exists where badgers are not removed when TB breakdowns in cattle occur. This area, which is in Gloucestershire, contains 18 farms which are not subject to badger control. Dunnet in his review of the badger control strategy in 1986. He concluded that the cost of maintaining such areas made the proposal impractical. The current badger control strategy is that recommended by Professor Dunnet. It is kept under review, but in accordance with Professor Dunnet’s recommendation it needs to operate for at least three years before a reliable review of its effects on the extent of herd breakdowns can be carried out. The best results are already recorded in Hansard 17th January 1995 Column 447. A Mr Heppell asked of the then Minister of Agriculture, Fisheries and Food what evidence he has that the spread of bovine tuberculosis is caused by badgers? Mrs Browning answered on his behalf, “Experimental control areas in Dorset and Gloucestershire, set up in 1975, (Yes, all that long time ago) provided evidence of the causal link between infection in badgers and cattle herds. After removal of the badgers, there were no further cattle TB herd breakdowns in these areas for many years. Two independent reports. By Lord Zuckerman in 1980 and Professor Dunnet in 1986, concluded from the evidence obtained under laboratory conditions at the Central; Veterinary Laboratory and from the field that badgers can and do harbour bovine tuberculosis and represent a potential threat to cattle. All cattle tuberculosis breakdowns are the subject of detailed epidemiological investigation by MAFF veterinary staff. 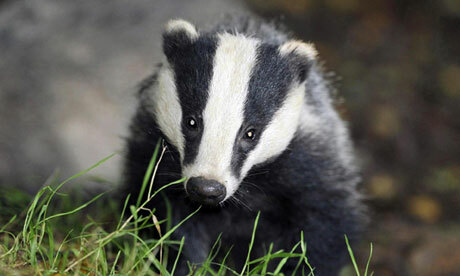 These show that badgers are implicated in at least three-quarters of cattle herd tuberculosis breakdowns in south-west England. Mr Heppell then asked how many badgers he estimates have been culled as a result of bovine tuberculosis in each of the three years in England? However, please note in 2001, the TB testing and control programme was largely suspended due to the foot and mouth disease (FMD) outbreak. When testing resumed in 2002, resources were concentrated on herds with overdue TB tests which would have had a long period in which to contract the disease. Also the proportion of high risk herds tested immediately after the FMD outbreak was greater than that prior to the outbreak. As a result, data for 2001 and 2002 are not compatible with other years.